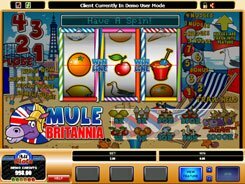 This is a money-themed slot with a prosperous pig businessman as the main character. 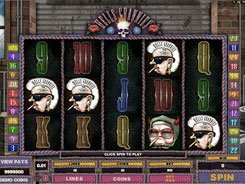 The symbols in the slot are expensive cigars, ruby cufflinks, a posh “pigmobile”, a nice piggy, Porky himself, and playing card icons from 9 through Ace. 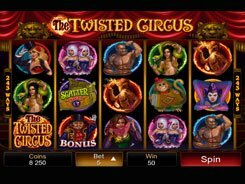 The game has five reels, twenty paylines and a coin that ranges in value from $0.01 to $0.5. 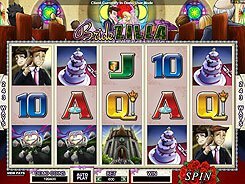 Overall, a total wager amounts to $200 per spin, which is a great option for high-limit players. 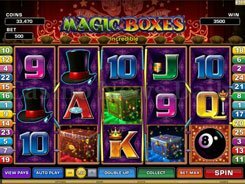 Playing at max, you stand the chance to grab a jaw-dropping win of $150,000 if you hit five wild symbols across an active payline. The second-largest jackpot of $50,000 is not bad either. 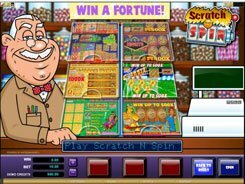 The slot features a scatter symbol depicted by the game’s logo. Get at least three scatters and you unlock an alluring bonus feature. 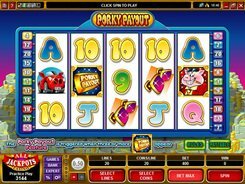 On the second screen, you will see nine gold ingots with ‘Porky Payout’ printed on them, and you have six picks to make. Every ingot that you choose reveals a random coin reward, and the total win in the feature may exceed your triggering bet by x600 times. PLAY FOR REAL MONEY!